From its position at the base of Marbella’s majestic La Concha Mountain, Sierra Blanca enjoys some of the very best views in the area, overlooking Marbella town, the entire coastal area, the sweep of beaches, golf courses and the coastline to Gibraltar, whose rocky outline stands across North Africa to form the famed Pillars of Hercules. Beautiful and quite mesmerising on those crisp, clear days, this interplay of green and blue becomes a a world of sparkling lights in the evening, stretching out before you and following the curvature of the coastline. Such views are an integral part of life in this exclusive residential area, where they add a new dimension to lounging on your terrace by day, enjoying sundowners in the evening and an al fresco dinner or party with friends after the sun has gone down behind The Rock. Though there are some luxurious apartment and stylish modern townhouse complexes within Sierra Blanca, this is above all a villa suburb with an excellent variety of villas in different styles and sizes set upon spacious but manageable plots with beautiful gardens and direct southerly orientations. 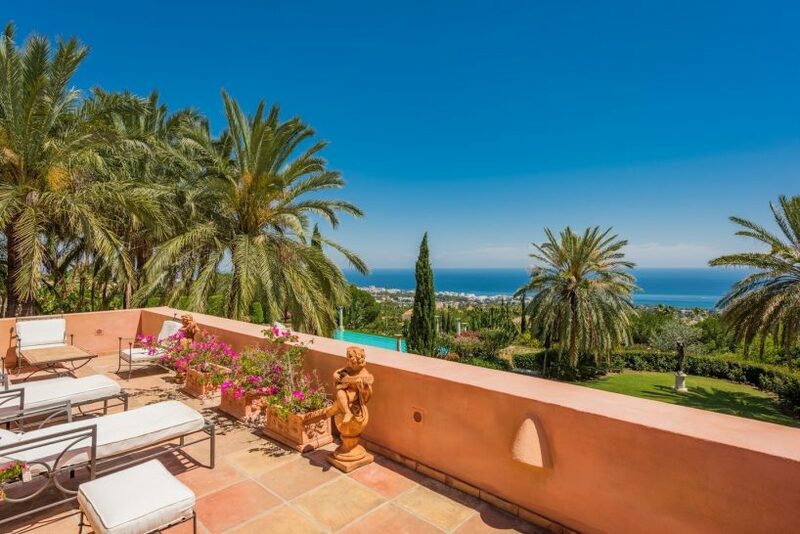 With its gated security and tranquil streets, Sierra Blanca offers privacy and peace in a prime location close to Marbella town, beaches, Puerto Banús, golf courses, sports facilities, shopping, dining, schools and a host of other amenities. From elegant, spacious apartments set within subtropical gardens to timeless architecturally styled contemporary townhouses and a broad variety of luxurious private villas with everything from parkland grounds and panoramic swimming pools to gyms, home cinemas and spas, Sierra Blanca is quite simply the hill club setting of Marbella’s renowned Golden Mile. If you are looking for a property in Sierra Blanca, Diana Morales Properties Knight Frank has a selection of the best villas, apartments and townhouses available in this and many other prestigious addresses.